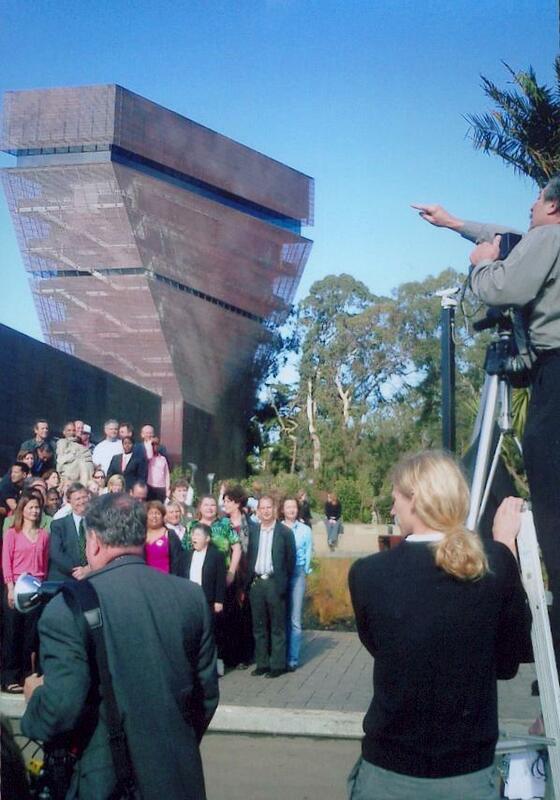 Two views of the new de Young Museum in Golden Gate Park by my artist friend and landscaper Leon Kunke. Looks llike an upside down copper pyramid. By the way Golden Gate Park looks the best it’s looked in a very long time. The waterfalls are gushing and they’ve done fresh planting everywhere, all around the park. Impressive. 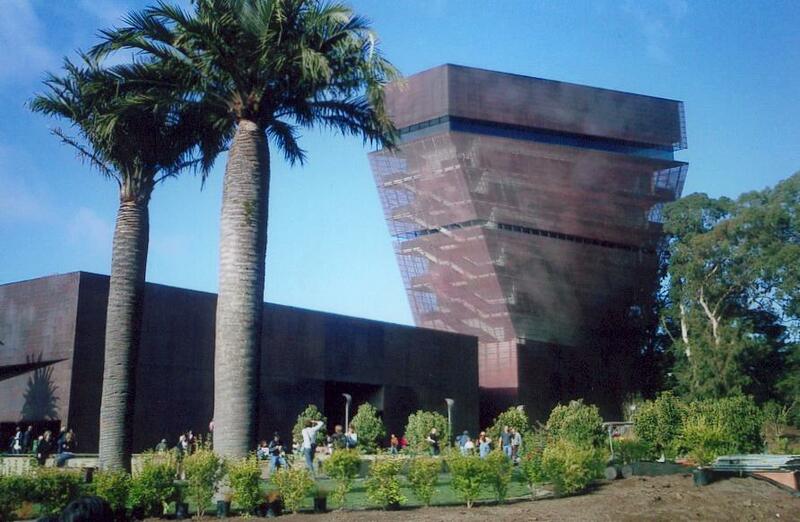 The de Young’s new look, however, remains controversial. I love it!